Yesterday’s Third Salish Sea Sunday Savings event was the best out of the three with several individuals taking advantage of the offering. Thank you so much to everyone who participated! I am always amazed by your ongoing support. It is like a pleasant surprise each time I venture to promote my work. Yet, even with all of this excitement, I am engaged in a time of quiet – a deep peace that seems to come with the low light of late fall. The tree that overhangs our bank at the back of the house is just starting to turn. 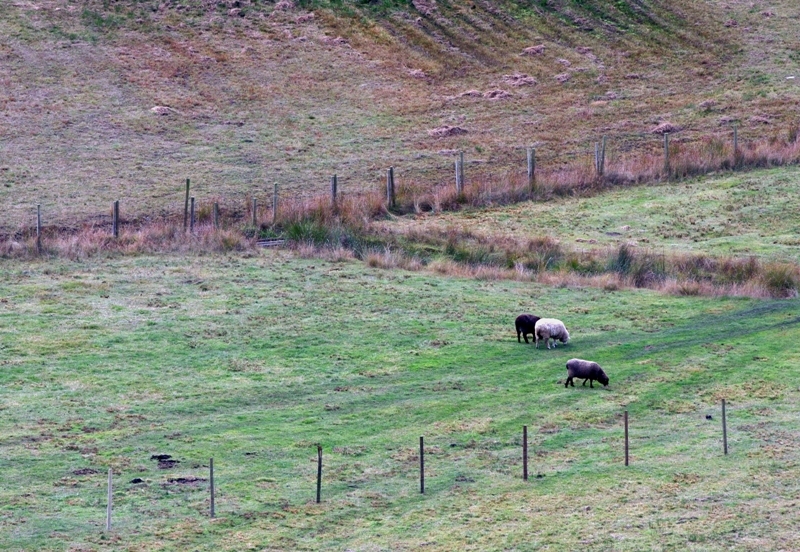 The sheep in the valley below the house seem to emanate my inner stillness. I tend towards observation rather than engagement during this time of year. There is a lot to do but not much that must be done. This is why announcing the winner of the draw for small 7.5 X 12 inch canvas print of AMAZEMENT seems so perfectly placed. The winner is an expert at engaging stillness, reflection and capturing the everyday aspects of his natural surroundings. Can you guess who it is? It is Jeff Stroud! Allow me to link to a recent interview that I did with Jeff which will provide links to his outstanding photography and information about recent shows of his work and to his blog. Congratulations Jeff! As we all know, this time of quiet is often fleeting. I will be spending this week getting ready for the Mayne Island Artisan Christmas Studio Tour where I open our home to the public from 10:00 am to 4:00 pm on Saturday November 12, 2011. If you are in the neighbourhood, please drop in and enjoy the transformation of our home into gallery space. I also have one other fine offering that will be available until November 30, 2011. The producer, Blurb, of my book PRECIOUS SECONDS – Mayne Island in paintings and photographs is offering buyers a $10.00 discount until the end of the month. To receive this discount, type in BIGTEN when the promo code is requested during checkout. *Offer valid through November 30, 2011 (11:59 p.m. local time). Receive USD $10.00 off product totals. Minimum purchase is USD $29.95. This offer is good for one-time use, and cannot be combined with other promotional codes, volume discounts, gift cards, or used for adjustments on previous orders. Sprout Question: What triggers your quiet times? Have a wonderful week whether it is quiet or filled with activity! Terrill – I very much appreciate the photography in this post, and I especially enjoyed the way your wrote this sentence, “I tend towards observation rather than engagement during this time of year.” Me too, I think that’s why it resonates so strongly. Jeff – CONGRATULATIONS on winning. That’s oh-so-cool! I like your response to the sprout question Laurie. It is raining here today and as I said on twitter “Going to enjoy the gentle rain and relax into my day as if each minute is a lifetime.” This is what comes to mind when I ready your answer 🙂 Enjoy your today and thank you as always for your over-the-top support of yesterday’s event. I’m with holessence that was my favourite line also. Oh Pea you said it in the first comment… I am sure you did because I heard your appreciation loud and clear. There is nothing like that certain sort of crispness. I put on a wool sweater with an over jacket and stuff my pocket with tissues before meandering out to poke around. Pea you comment has me grinning. The time change yesterday seems to have righted my sense of the universe and it is nice to easily get up before dawn. You and I are very much on the same “quiet” page I think. Your list resonates with my own sense of being. Glad your Sunday savings event went well! I would have to say the weather often triggers my quiet times. For instance, I went to bed last night with plans for working on my horse today, who had been a bit of a twit when I took her riding yesterday, but … snow starting coming down around 8:30 this morning and hasn’t stopped yet. So far due to the snow, my day has become a quiet inside day. Perhaps my less than quiet ride yesterday was triggered by the same force which allows me to feel quite content to stay inside today! Sue it does kind of make sense that if snow was coming your horse was more inclined to be a “twit” (giggling). Well, maybe in the next few days you will still be able to get out and work on some of that silliness. Thanks for stopping by sis! warm hugs Terrill P.S. I don’t know if I told you but I got a full spectrum light for my studio. May see how it works this evening. Oh we have a copy of a Monet painting in our bedroom that reminds me so much of your top picture today…stunning: both – all three!. I am so happy your Sunday experience was such a success…Terrill, I am going to email you about an idea for your new book. I think I will want the discount, but am not sure how to do this? I am quiet today, more because the rain is coming, and my lastest book to review came very late to my doorstep and I nearly had to do an all nighter to get it finished. Good news is that it is just an excellent book and for a non-fiction well worth the time and effort. Review goes up on site this Wednesday the 9th. Sam Juliano http://wondersinthedark.wordpress.com/2011/11/07/like-crazy-the-last-rites-of-joe-may-tower-heist-and-tennesse-williams-on-monday-morning-diary-november-7/#wpl-likebox is giving me a bit of a hard time about not reviewing some more movies…so I put one on the list for later this month….I just like reading so much better – I think my ideas of characters and themes are often so much better than the commercial directors/ movie makers ideas! P.S. Patricia!!!! 🙂 You should have said! 🙂 There are some wonderful things that are just too wonderful to keep quiet about. Dear readers, I just went skipping over to Patricia’s new blog post “A New E-Book and It’s Free!” and you will never guess what I found? She is one of eight women featured in an e-book WOMEN WHO MAKE A DIFFERENCE edited and produced by Eliza Fayle. Doesn’t that sound intriguing? Now I am off to read my lovely short 14 page e-book and find out what all these women are doing while you go get your copy to read …. Once again I am honored to receive this gift! Of course I am honored each day that I have the opportunity to read your blog and view your paintings and photographs which are each and everyone forms of quiet time. Does something have to “trigger” quiet times? Quiet time is time we/I take for myself to be present in the moment, to let go of something that I have no control of. Or a quiet time is just being present in the moment. Jeff, I must make a confession. I have yet to wrap your gift for shipping! Preparing for this weekend’s studio tour has captured all of my time. But it shall happen soon. Yes there is the regular quiet of being present which is not triggered but practiced and I am glad you have reminded us of this. Yes Daisy, the beginnings and endings. These moments seem to stay with me the most and middle bits seem to disappear over time. Congratulations to Jeff!!!!!!!!!!!!!!! A well-deserved honor to one talented guy!!!! Interesting Terrill. 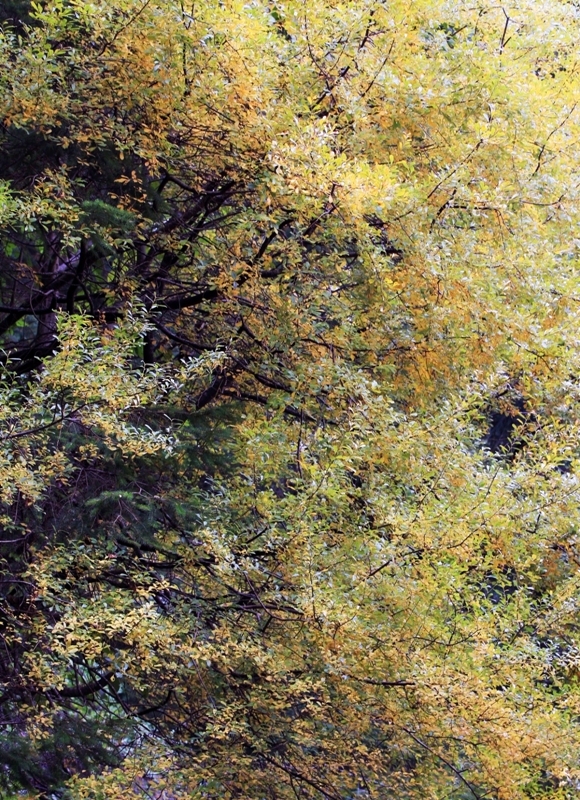 I also think of this beautifully scenic and transitional season as a time of reflection and appreciation. Your photos a real feast for the eyes. I think the quiet times coincide with family interaction, which are the moments we hanker for, strive to attain even in a frenzy. I so agree Sam. Family time has been rather sparse and difficult to accomplish the last few years but it is the same for me. These two things, inner quiet and family time, go together like bread and wine.